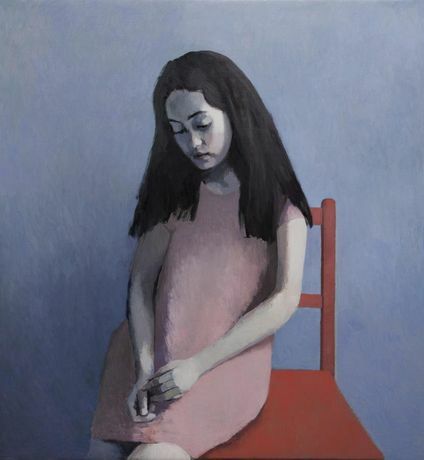 Flowers Gallery is pleased to present an exhibition of new work by Claerwen James. A catalogue with a foreword by New Yorker critic Adam Gopnik will accompany the exhibition. 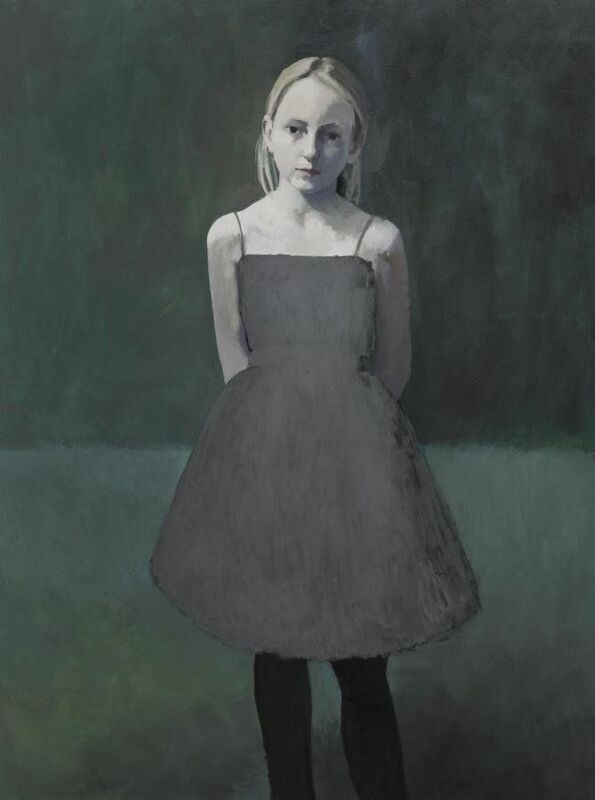 Claerwen James is known for her painted portraits of young female subjects, which explore the private moments captured by photographic snapshots. By painting directly from photographs, James keeps a deliberate distance between herself and the sitter, in order to observe more closely what may be simultaneously revealed and withheld within the frozen moment in time. James’s photographic sources vary from family pictures and photographs taken by the artist herself, to anonymous images, sourced from car boot sales, junk shops, the pages of magazines and from film stills. In all cases, they are not portraits in the usual sense of the word. The identity of each sitter is either unknown or irrelevant to James, who scours the images for a particular quality or presence held within the image itself - a self-contained narrative forever separated from the flow. James cites Corot, Degas and early Picasso as unfailing sources of ideas and provocations, and in several new works this influence is made explicit by the appropriation of their subject matter. Girl without a Basket of Flowers pays homage to Picasso’s painting Young girl with a basket of flowers, 1905, refiguring the child’s awkward posture and brooding countenance in its present day incarnation: Girl without a Basket of Flowers 2. ABOUT CLAERWEN JAMES Claerwen James, born in 1970, originally trained as a molecular biologist at Oxford University, University College London and Cold Spring Harbor, NY. She graduated from the Slade School of Fine Art in 2003. James has won various awards such as the Prince’s Drawing School Graduate Bursary, the Arts Club Excellence in Drawing Award; and most notably the Slade School’s own Melvill Nettleship Prize for Figure Composition - previous winners include Gwen John and Gwen Raverat. She has gone on to have numerous exhibitions in the UK and the US.